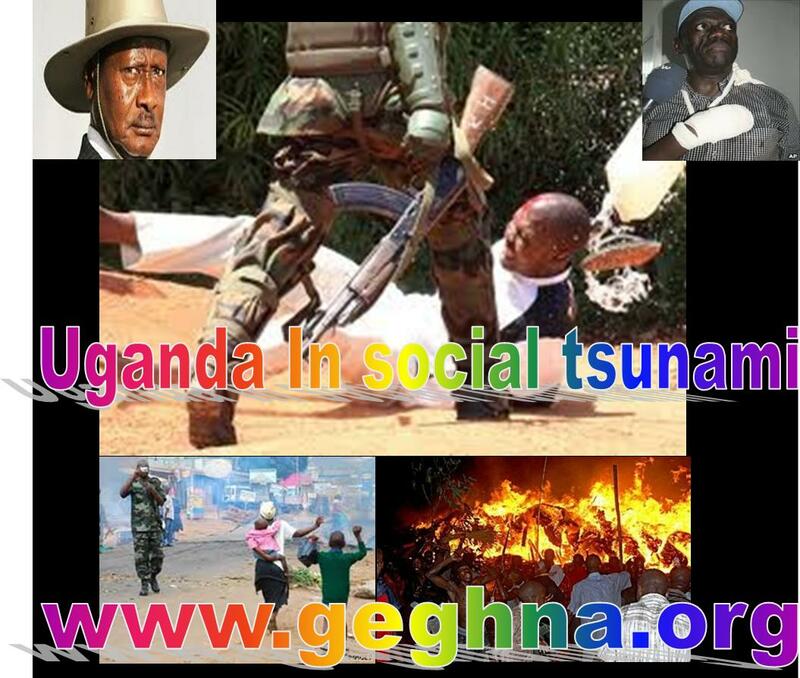 The Social Tsunami that swept the Arabian world has just reached the Horn of Africa. Thousands of demonstrators engulfed the divided dictatorial regime of Djibouti demanding the t president Ismail Omar Guelleh, the close friend of the Ethiopian killer Melese Zenawie to resign. This latest in a series will not leave Ethiopian untouched. The Melese Zenawie has already started tightening security around the universities and high schools. In the capital Djibouti thousands of police are deployed around, the demonstrators gathered at a stadium on Friday with the intention of staying there until their demands were met. At dusk the confrontation escalated into clashes, as the security forced used batons and tear gas against stone-throwing protesters and sum shooting also being heard. Omar Guelleh after serving two terms accepted advice of his friend Melese Zenawie the Ethiopian dynastic ruler, two present himself for the third time in April in the coming election in April. He changed in the constitution to assure his third unlimited term. Three opposition parties has joined the protestations and demanded the embattled Dictator to step down. Ismael Guedi Hared spoke in the meeting for sustained protestation till the dictator leave power. The principal opposition leader Abdurrahman Boreh gave his support for the protestors from his forced exile in Briton. Omar Gullah has been in power two years more than Mubarak in the tiny republic where politic is divided between the Afars and the Somali tribesmen since independence in 1977. The Little Eastern African country would have been taken out by the Somalian syndrome without the French and American strong military presence. 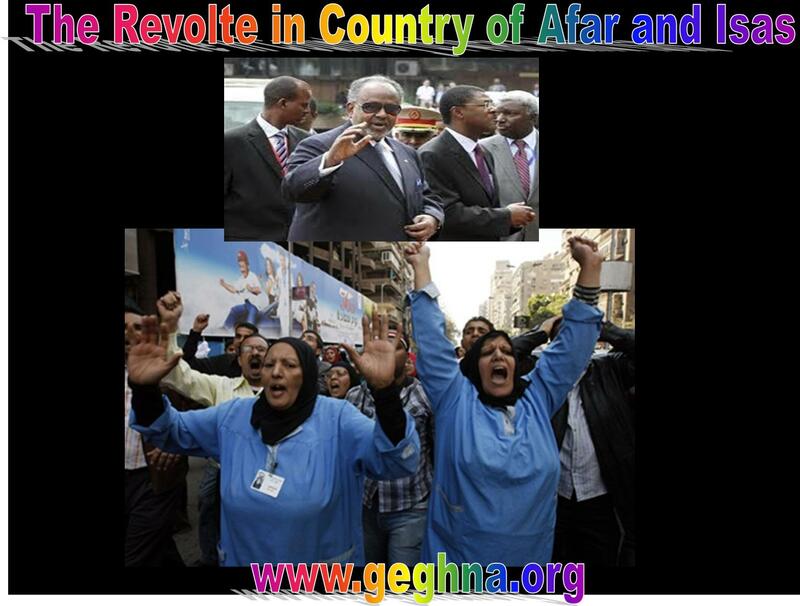 In Djibouti the protest started 3 day after the Egyptian uprising. Still passed unnoticed every Friday prayers since January 28 the demonstrations continue reaching now a climax to a sustained protest in the central stadium. For Djiboutian standards there is a high turnout of protestors seeing the nomadic nature of the population. The 63-year-old Guelleh is preparing to win the coming April vote applying the methodology of his neighbor Melese Zenawie of Ethiopia. The Ethiopian dictator suspecting any time soon a mass explosion his starving subjects the same ways as the revolution that swept away the 45 year old regime of the Emperor Haile Selasse in 1974.